You are purchasing a wholesale lot of assorted aerowheels adjustable ice skates. There are approx. 18 pairs of skates in this lot. The sizes vary, mostly youth. And also, both male and female styles. The items in this lot are mostly all new, still in retail packaging. Perfect for any type of reseller! 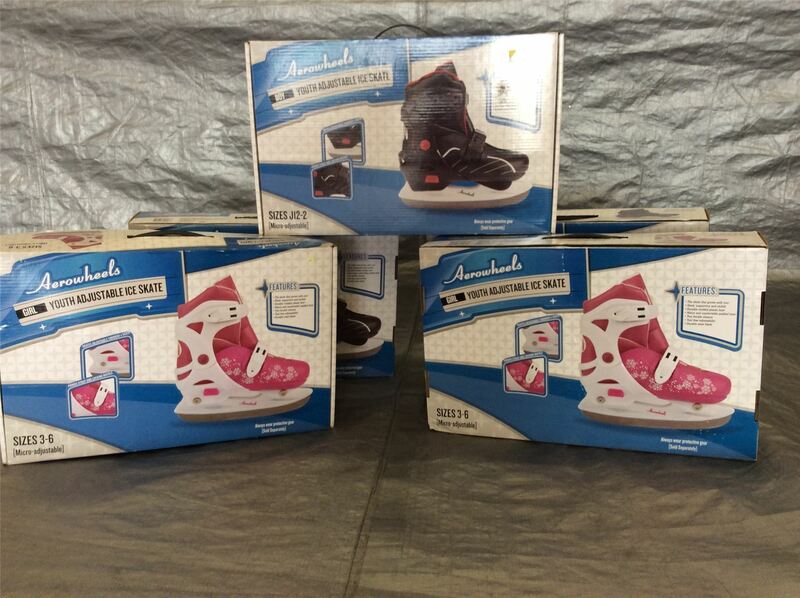 Click the button below to add the Wholesale Lot of Assorted Aerowheels Adjustable Ice Skates. Lot of 18 to your wish list.